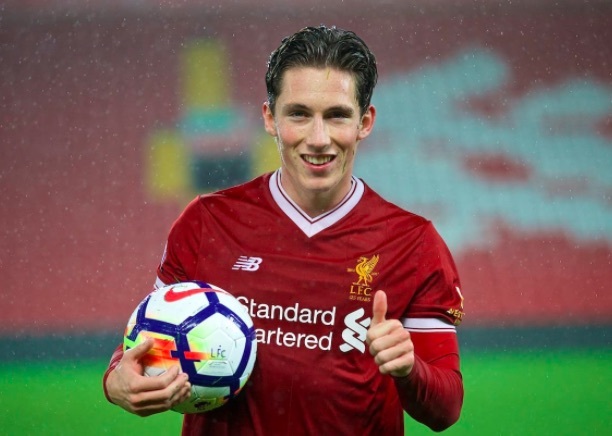 Harry Wilson was on target yet again on Sunday but couldn’t help Liverpool’s U23s extend their lead at the top of the Premier League 2 table. The No.11 bagged his eighth goal of the campaign in the 2-1 defeat to Leicester City, continuing the scoring form he displayed in the 2016/2017 season, in which he found the net an impressive 28 times. Wilson has been a star figure for Neil Critchley’s side and raised further questions regarding how long it will be before he gets his next first team opportunity. His first-half opener came somewhat against the run of play when he linked up with Danny Ings before finishing the move with a superb solo goal in the 26th minute. A strong Liverpool team was unable to hold on, however, as Leicester responded with a late first-half equaliser through Admiral Muskwe, before snatching a win through Sam Hughes in the 93rd minute. Despite suffering their first home league defeat of the season, the Reds remain top of the league and four points clear of the now second-placed Leicester. It proved to be a disappointing afternoon for the Liverpool starlets, with an eye-catching front three of Wilson, Danny Ings and Dominic Solanke failing to make much of an impact. Next up for Critchley’s men in the league are Everton’s U23s in an enticing Merseyside derby scheduled for November 19.